I was schooled at Manhattan's Hunter College and received my Master of Arts from SUNY Albany in 1987. Though I grew up in the greater New York City area, it was the quiet of the land and not the city, that captured my heart. My home was a modest brick house squeezed in among others along the beaches of the Atlantic Ocean, specifically, Rockaway Beach. My earliest memories are of sand, water, and salt air; at night, as I gazed out from the front porch, I saw a shimmering black skyline, not that of Manhattan, but the vast expanse of the moonlit ocean. Now, more than 30 years away from the shore, my early life of inhaling natures salty breath comes out in my work. I form soft earth into subtle polished vessels and sculptural wall murals in the quiet of my studio. 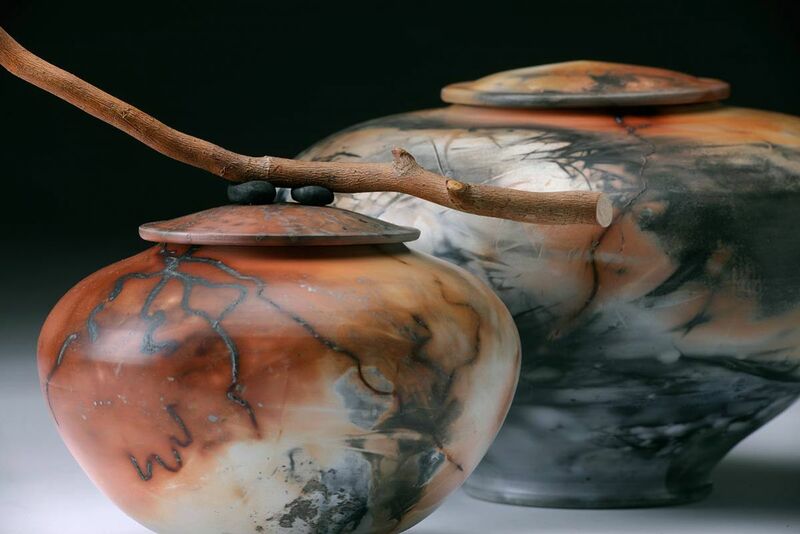 Instead of using glazes, in this Raku-alternative firing process I experiment with natural materials, polished porcelain and the random markings of fire upon earth, it is known as saggar firing. Like the unpredictability of waves chasing the shoreline, each saggar firing yields surprising results upon the surface of my pots, never are two alike. I sell my work at art shows across the country and I teach workshops nationally and internationally. As a yogi for more than a decade, I have brought my Yoga and Clay closer together over the years. I create a wholesale line of yoga art for Wellness Centers and Yoga Studios. As a professional clay artist for more than 20 years, my latest manifestation brought my clay onto the wall. I create Sculptural Wall Murals for residential, corporate and hospital facilities nationwide. To date, I have wall murals in scores of homes and almost a dozen hospitals, including Texas Children's Hospital, Pavilion for Women in Houston and Long Island Jewish Medical Center. This I know: I love earth, nature, clay, and yoga and I have created a life that supports all of that while growing my heart and expanding my circle around the world. And for that and more, I am eternally grateful! Zanesville Museum of Art, Zanesville, OH. 2012. 2010: Ceramic Award of Excellence. Tarpon Springs, FL. 2007: SOS Grant International Exhibition, Thailand. NYS Council on the Arts. Brenda teaches 'Master Class' workshops nationally & internationally.